Tito Joe Jackson better known as TJ to his family and friends is the younger of two brothers. He was born on July 16, 1978 and is currently living in Los Angeles, CA. He is married with children. Being both African American & Dominican he can speak both English and Spanish. Also after living several years overseas he can also speak French and German. TJ graduated from Buckley High School in 1995 and attended college at Loyola Marymount University. He would like to one day teach and open up a school for underprivileged children. He believes that you should love and show your love as often as you can to people in your life. His hobbies include baseball, video games, movies, and watching 3 Stooges shorts; something he, his uncle Michael, brother Taj shared in common. He enjoys working out with his brother Taryll. He also enjoys going running. He likes going to different sporting events with his brothers and friends. He likes spending time with his brothers and plays host to a lot of sporting games at his home. He likes to read and sending out little quotes and a sayings. He is currently working on his father’s first album. TJ has expressed on his Twitter page how much he is missing his uncle Michael and he has also been seen out in public with Michael’s three children Prince, Paris, and Blanket, like his brothers during various family activities since the passing of his uncle. He wants to continue with his music and make his uncle Michael proud. There was a 3T Day on Jackson Source on April 1, 2010; Jackson Source had a tiny chat with Taj, Taryll, and TJ and a 100 fans. TJ later thanks fans for joining the tiny chat on Twitter. July 16, 2010- TJ thanks fans on Twitter for birthday messages. Fall 2011- Sisterella starring TJ from 3T!! Sisterella Musical Featuring: TJ Jackson from 3T!! TJ Jackson from 3T will co-star along with singer Taylor Dayne in the musical "Sisterella" wriiten by Larry Hart and was executively produced by his Uncle Michael Jackson in 1996. TJ will be playing the part of Prince Jean Luc that was originally developed for his Uncle Michael Jackson in Sisterella. Sisterella is based on the classical fairytale Cinderella with a more mordern day twist and will be returning to Los Angeles in the Fall of 2011. 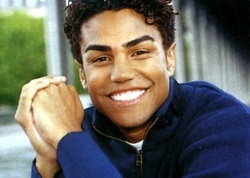 We Love 3T would like to take this time out and wish TJ the best on his new endeavor. Look out for "Sisterella's" return to the stage!! Happy Birthday TJ!! We Love You!! Amber: Happy Birthday TJ!! I hope you have a wonderful and enjoyable birthday. We send you LOVE and BIG Hugs!! Jessica: Happy Birthday Sweet TJ, We all love you very, very much!! Tiffany: Happy Birthday TJ, please continue to smile because it lights up any place you go. Ariel: Happy Birthday TJ and I wish you many, many more!! Ryan: Happy Birthday TJ, I love you and your brothers and I can't wait to see and hear more from you!! Eve: Happy Birthday TJ!! Aubrey: Happy Birthday TJ!! Lisa: Wishing you a wonderful and Happy Birthday filled with family and friends!! Ashley: I would like to wish TJ a Happy Birthday!! Love you TJ!! Jasmine: Happy Birthday TJ Jackson and I hope you have a wonderful day with your family!! Wendy: Happy birthday tj may god bless you and keep you safe on this special day hope you have fun and cant wait to hear music from 3t you guys rock. Thank you everyone for all your birthday messages. They have brightened up my day. I miss you all! Accomplishments of some special plans. Wish U a very “Happy Birthday”. Have a great day incl. an amazin party with your beloved ones ! TJ would like to teach one day and open up a school for underprivileged children. TJ loves soccer, baseball, video games, and movies. TJ use to like watching the 3 Stooges Shorts with his Uncle Michael. Natalie: Hope all your birthday wishes come true. Have a fun day with family & friends as they celebrate A sweet, genuine loving caring person. I've read you want to teach to underprivileged children one day. I hope & pray that dream becomes a reality very soon. So many kids in the world who need an opportunity at a decent education. Or just someone to give them a chance to follow their dreams,someone who can believe in them. I couldn't think of a more perfect guy, cuz after all you are a Jackson and the Jacksons embody not just great musical talents, but they also embody Love, Hope, Peace & Generosity. Always caring & giving. I want to wish you a Great Happy Birthday- with lots of Love. Peace & Blessings to you and all the Jacksons. Say hello to Taj,Taryll & PoppaT (I love him!) He would make my year if he would just "tweet" me just once! Is that asking for too much? Lol!! Oh yeah, one more thing. I know your mom is smiling down from the Heavens, beaming with Love& feeling extremely Happy & Proud that she raised an Outstanding Son.To honor her memory the school should be named after her. ( just a thought?) Love Sincerely, A True Jackson Fan. Amber: TJ, I truly hope that you will enjoy your Birthday and that this page fills your day with lots of happiness, it has been a tough year, I know and I hope this does your heart good. Happy Birthday!! Heather: Hi TJ, I would like to wish you a very Happy Birthday!! Amy: TJ enjoy your day with family and friends, Happy Birthday!! Tammi: TJ I have been a 3T fan forever and I hope you have a great Birthday!! Kiesha: Happy Birthday TJ!! May all your wishes come true. April: TJ you are such a sweetheart, I just wanted to take this time to say Happy Birthday!! Megan: You make me smile everytime I see your face and I hope that you will be smiling a lot on your birthday!! Ashlee: Sending lots of Birthday hugs and wishes your way!! Carmen: Today is your day, enjoy every mintue on it!! Cheyanne: TJ, You are my favorite and I hope that you have a super Birthday!! Alexis: I am a huge 3T Fan!! Happy Birthday TJ and I hope that you are able to go out with your family and friends and celebrate your day!! Christy: Happy Birthday TJ, wishing you lots of happiness!! Lauren: Do something exciting and fun for your birthday. Send you lots of Hugs!! Jana: Dear TJ, have a happy happy Birthday. Have a great Day with your Family, loved ones. Take care and i hope you´ll be back with Music one Day. I send you all my love and Support. :) Enjoy your Day.